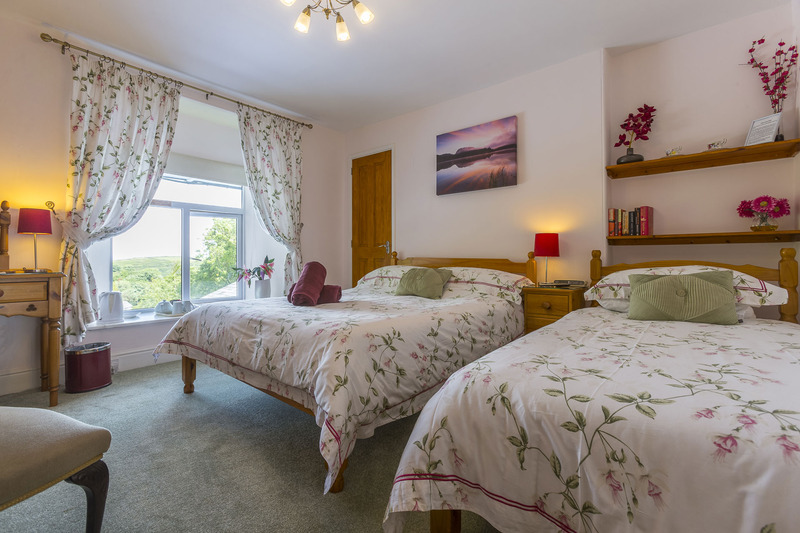 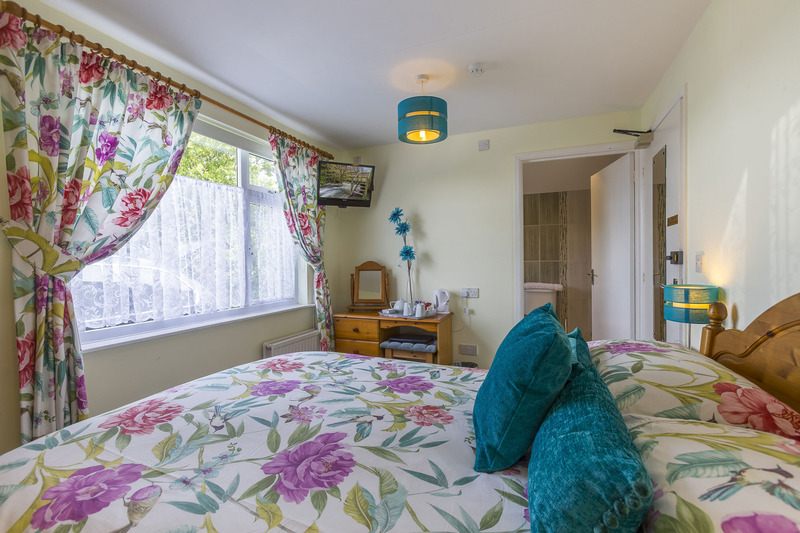 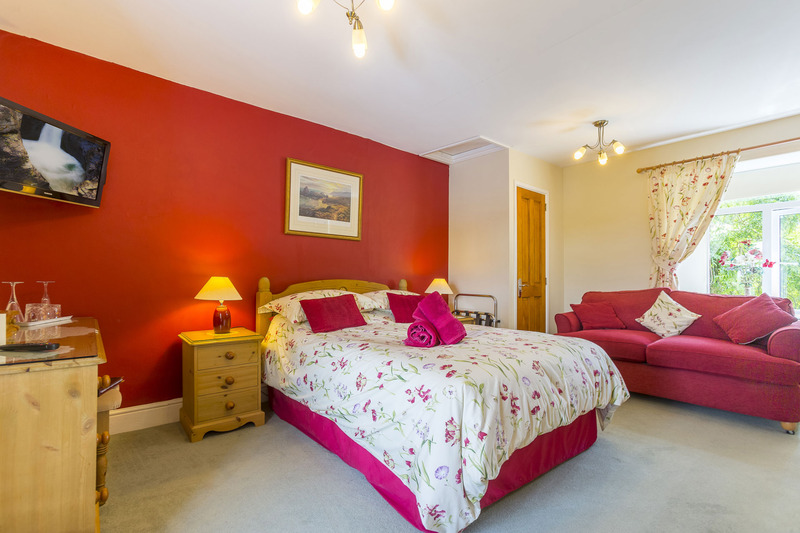 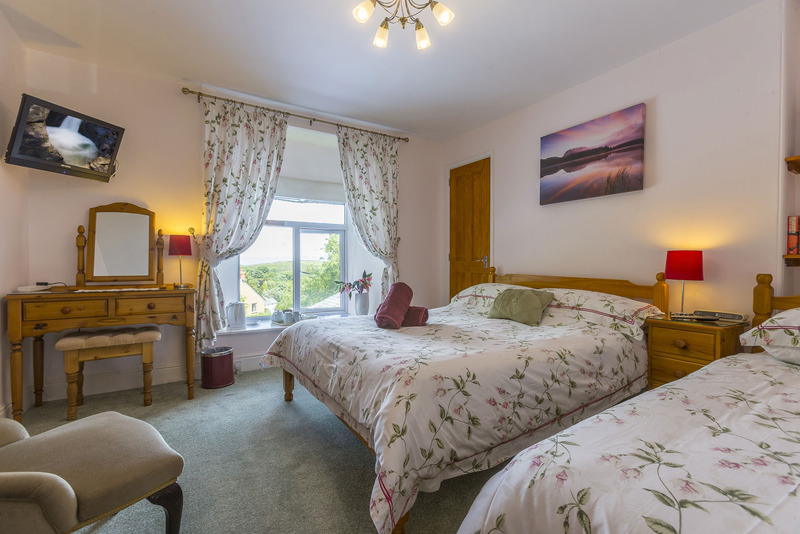 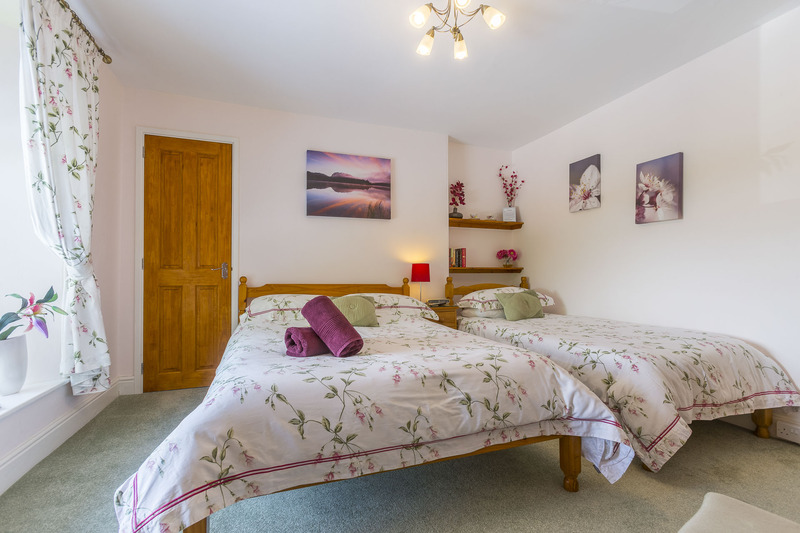 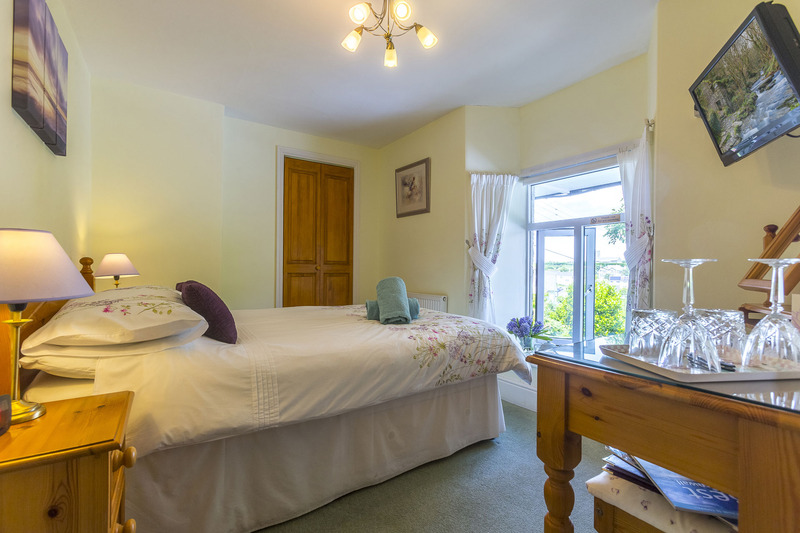 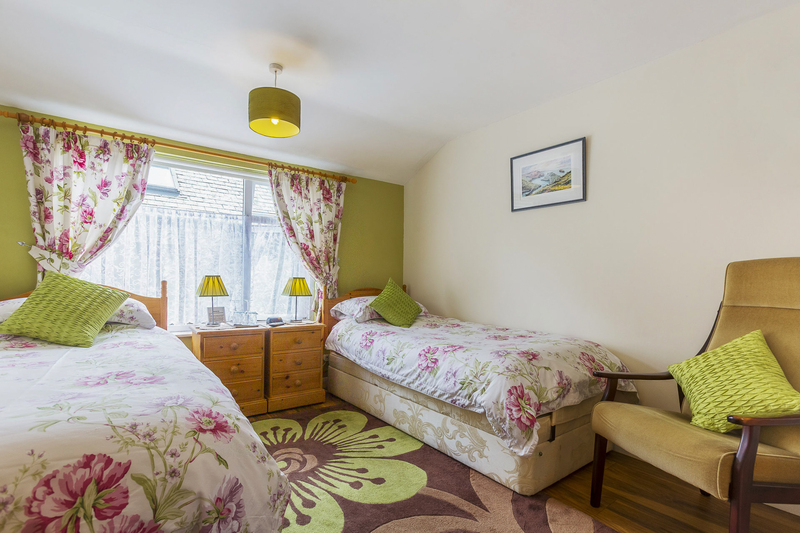 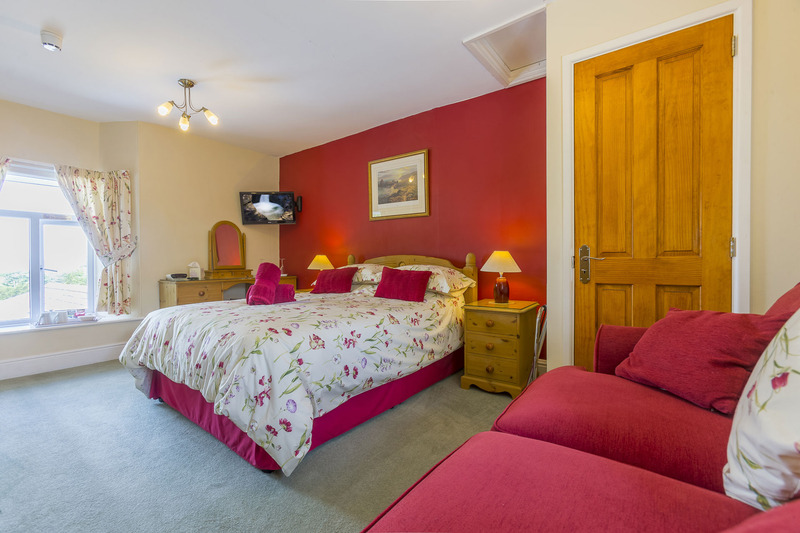 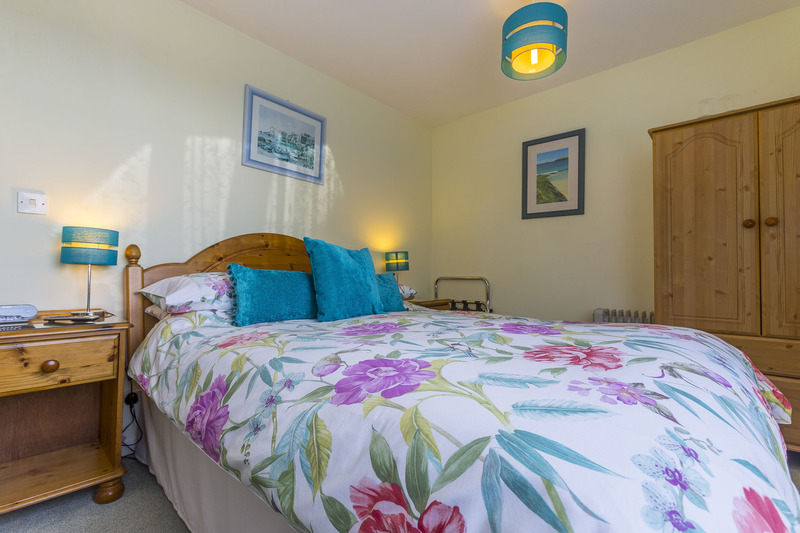 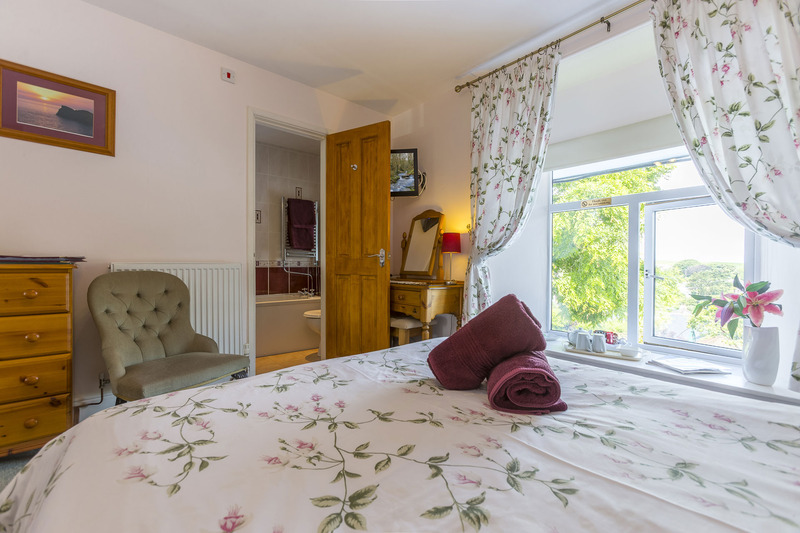 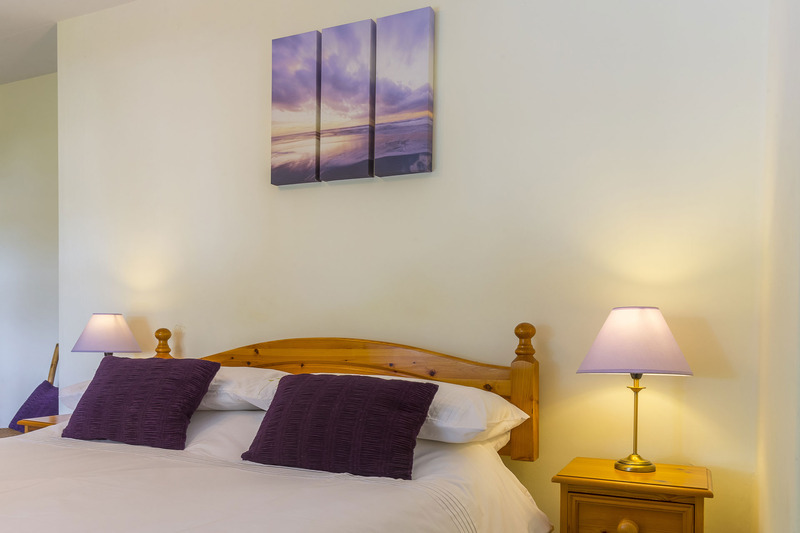 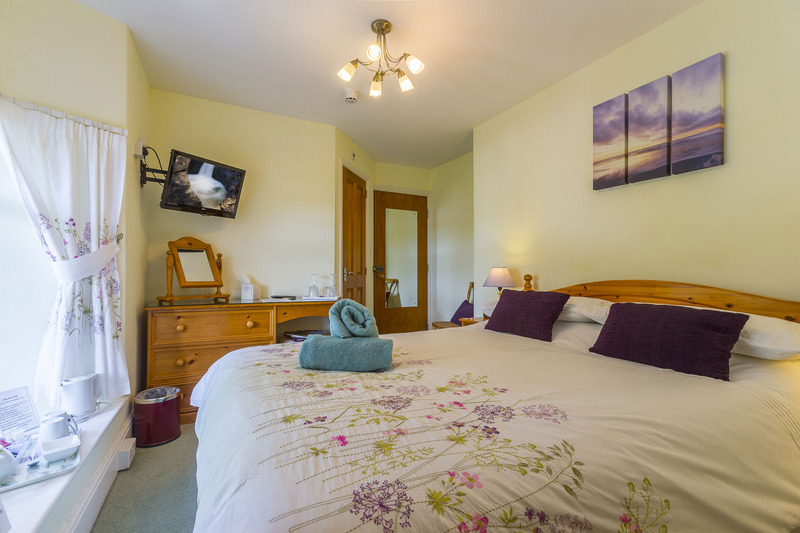 A double room with views over the gardens towards the coast of Cornwall. 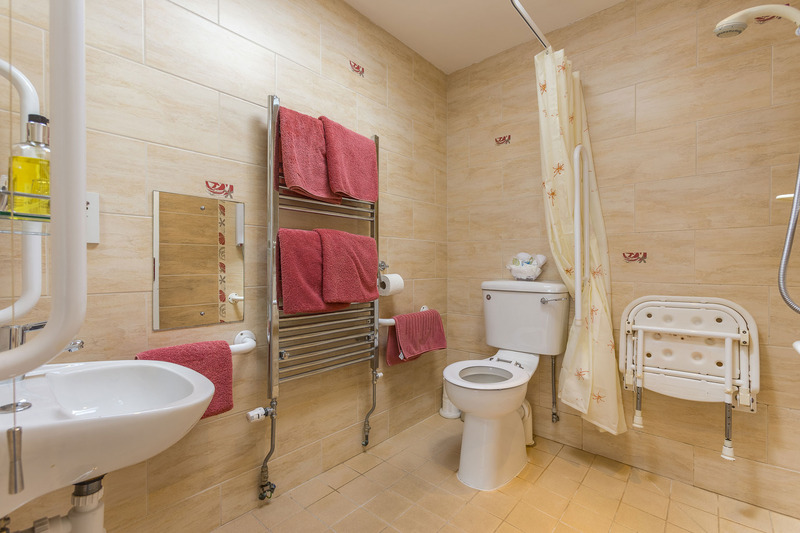 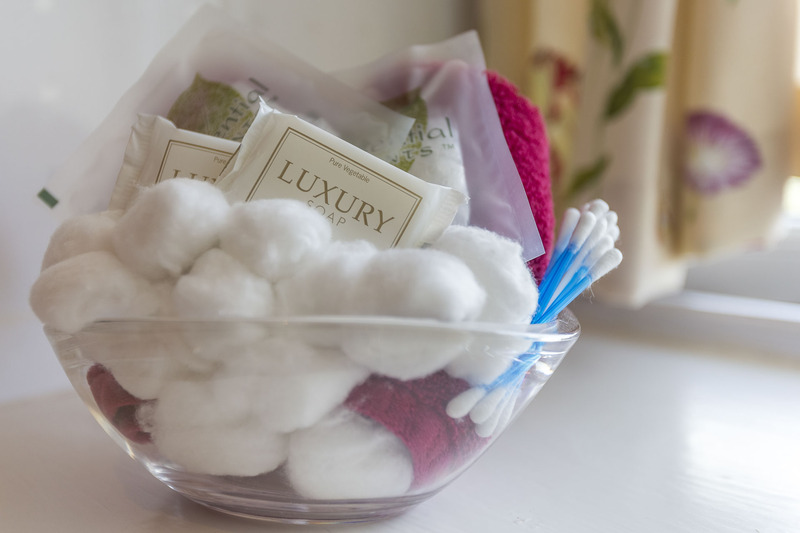 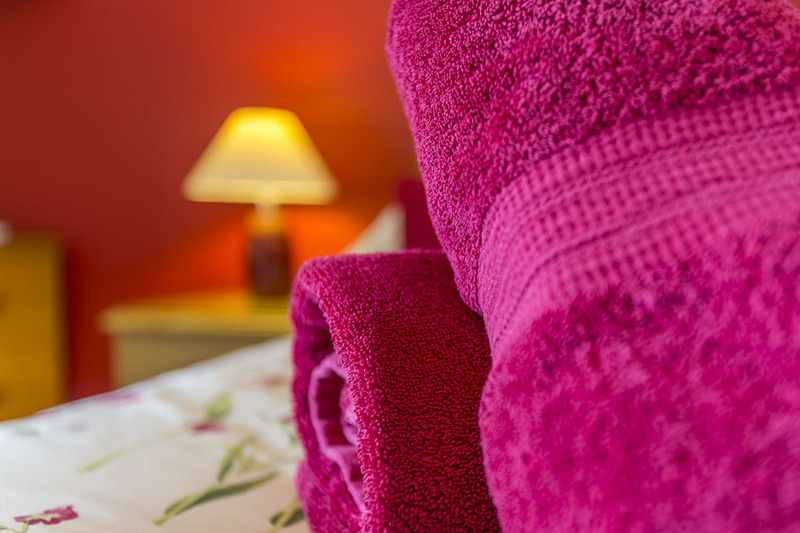 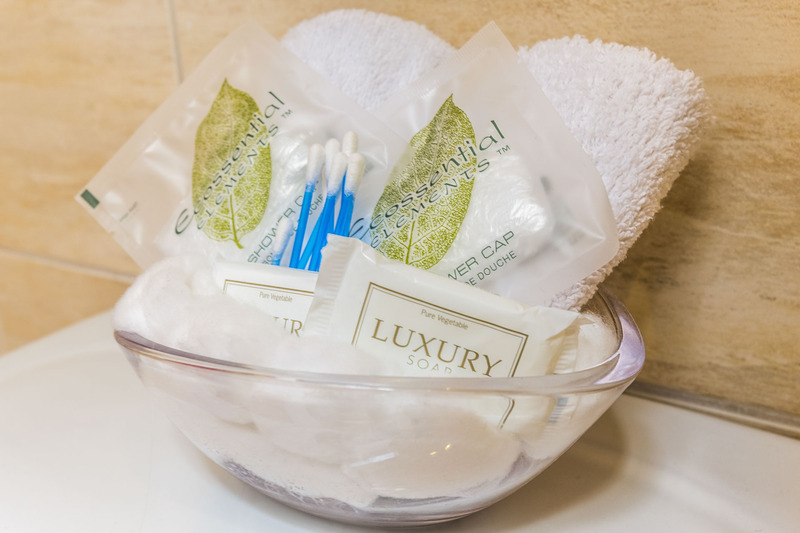 En-suite facilities including large shower, toilet and wash basin. 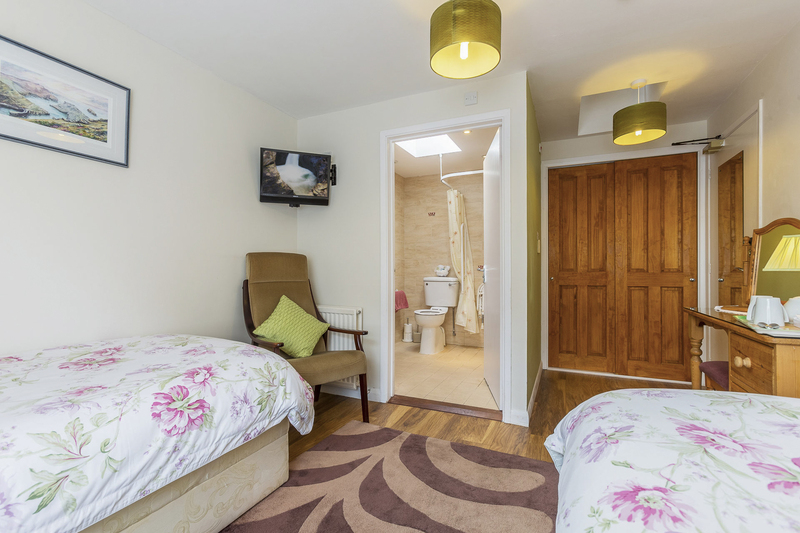 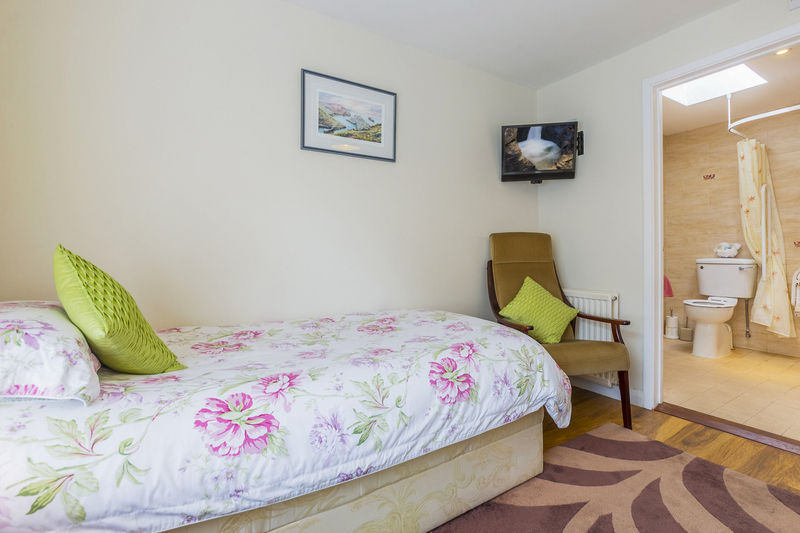 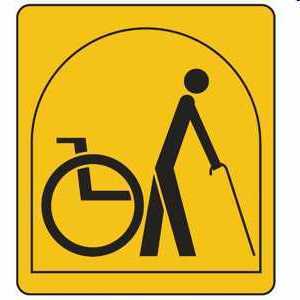 A twin bedded room on the ground floor and has facilities for Wheelchair Users (Enjoy England – Mobility 2 Access). 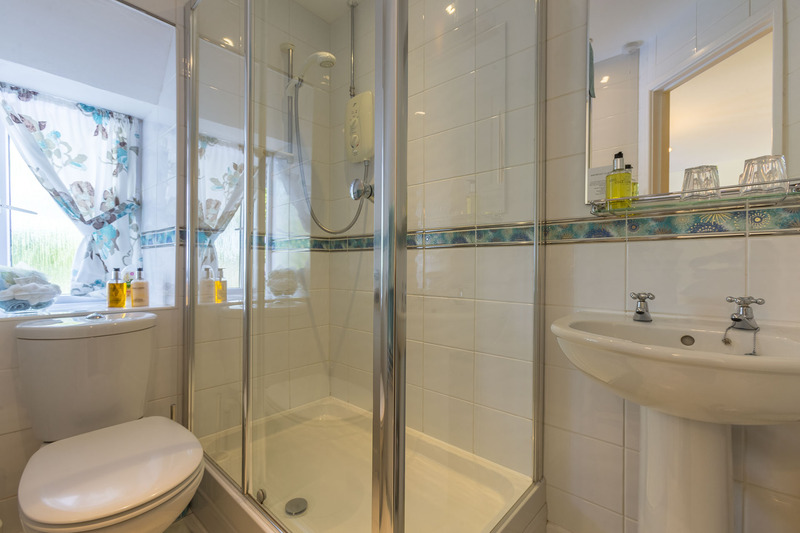 The large, en-suite ‘wet room’ has a shower, toilet and wash basin. 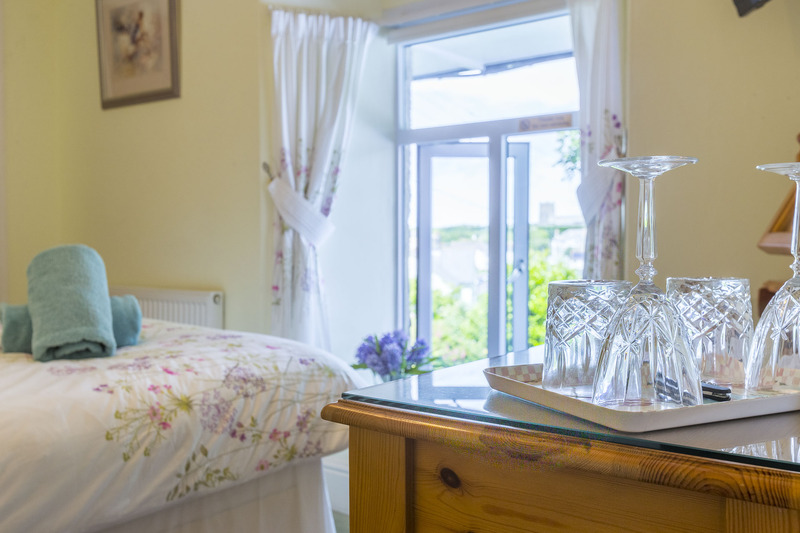 A double room on the ground floor with a limited view towards the coast. 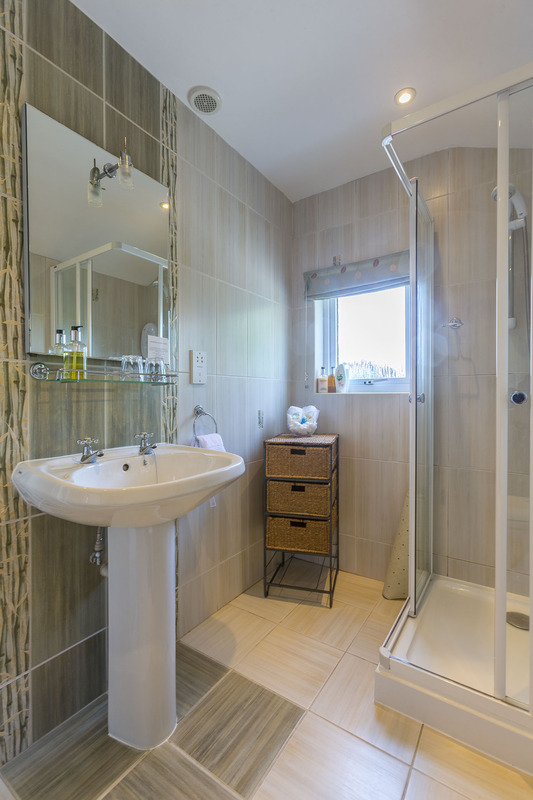 En-suite facilities include shower, toilet and wash basin. 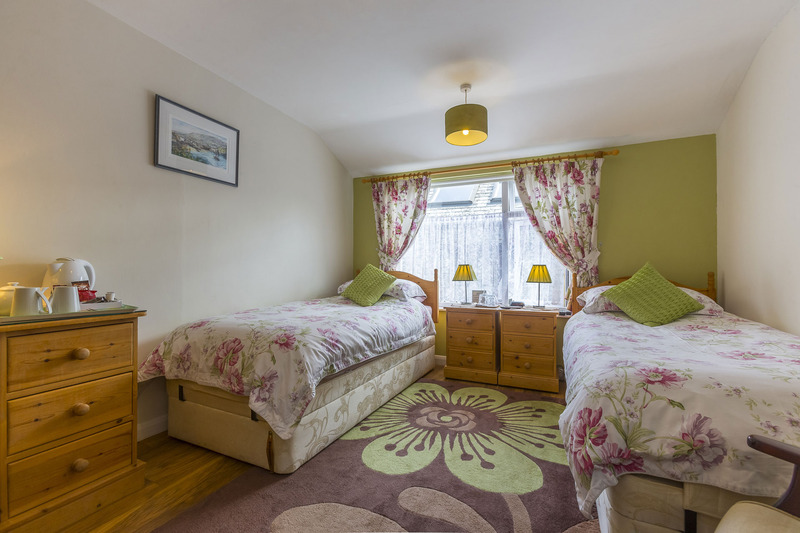 This room has a double bed and a double sofa bed. 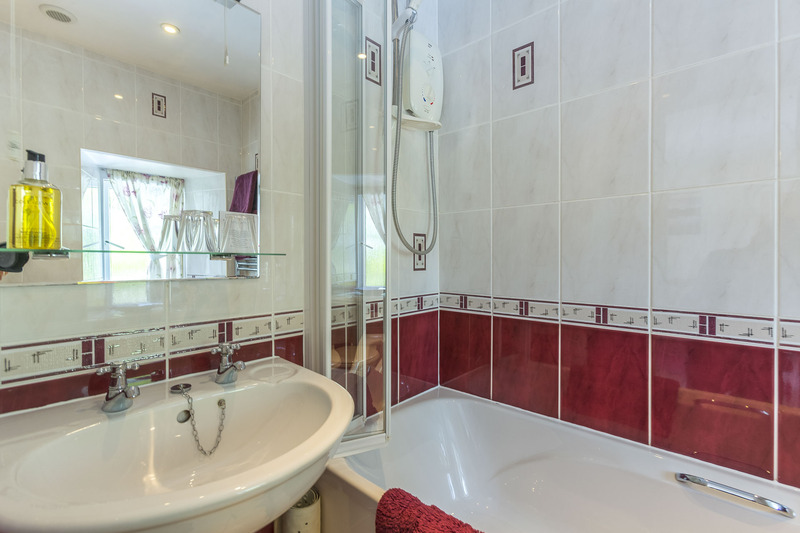 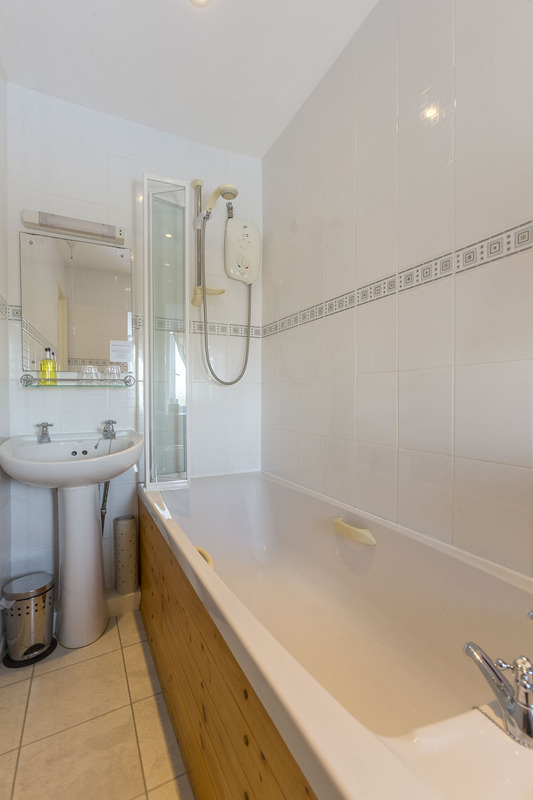 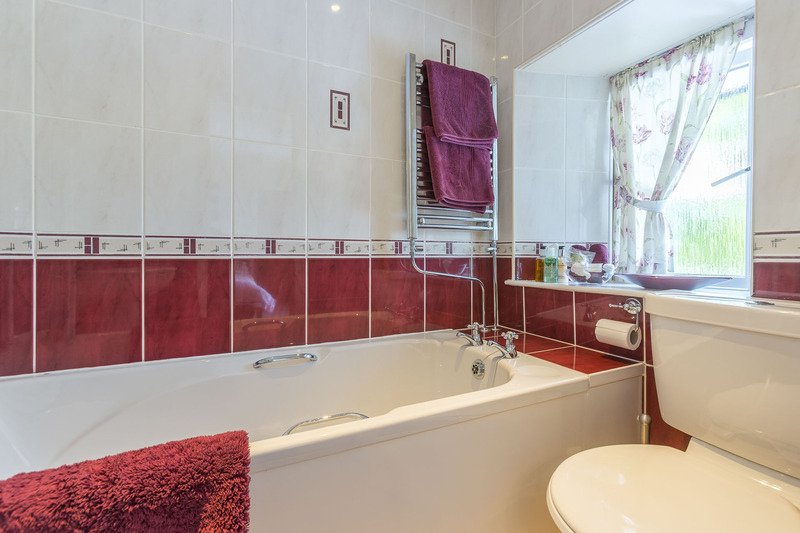 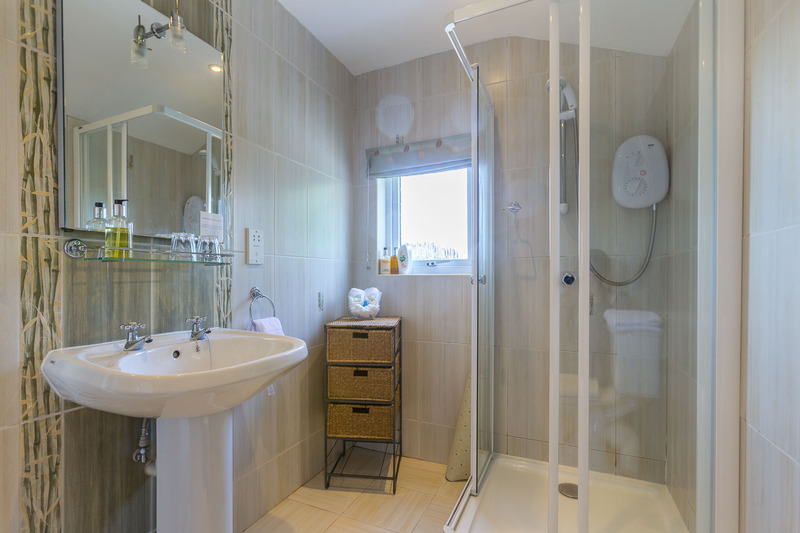 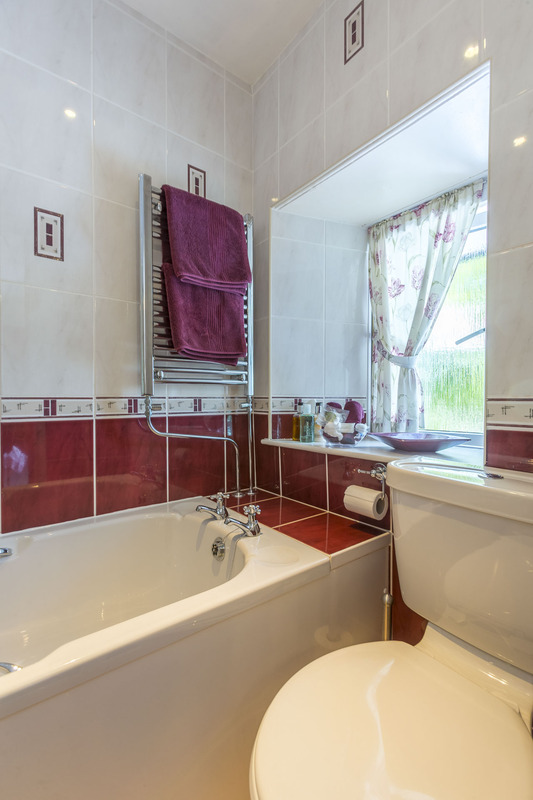 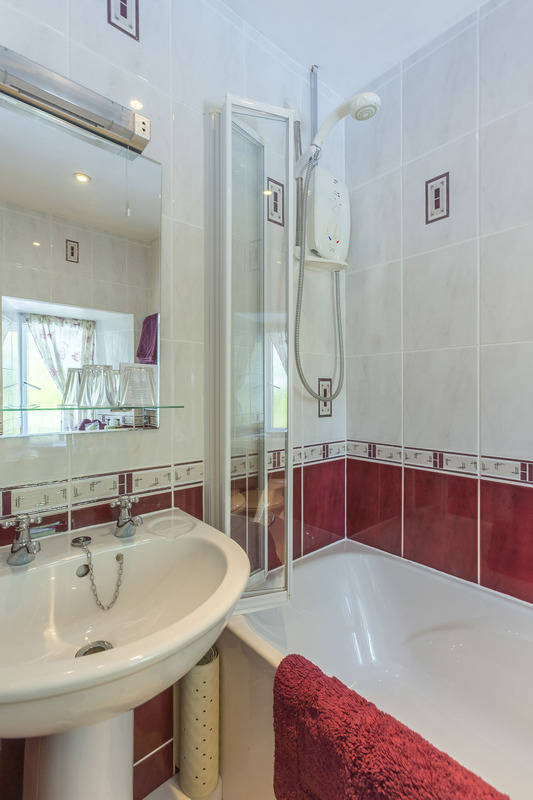 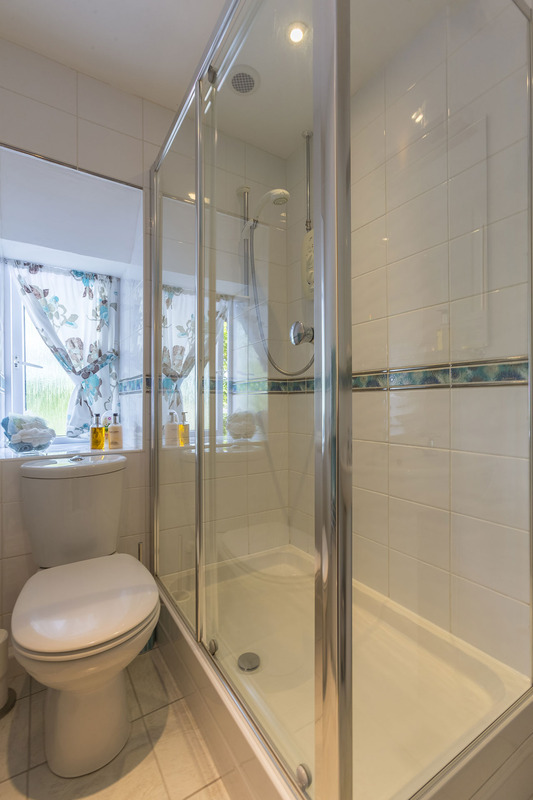 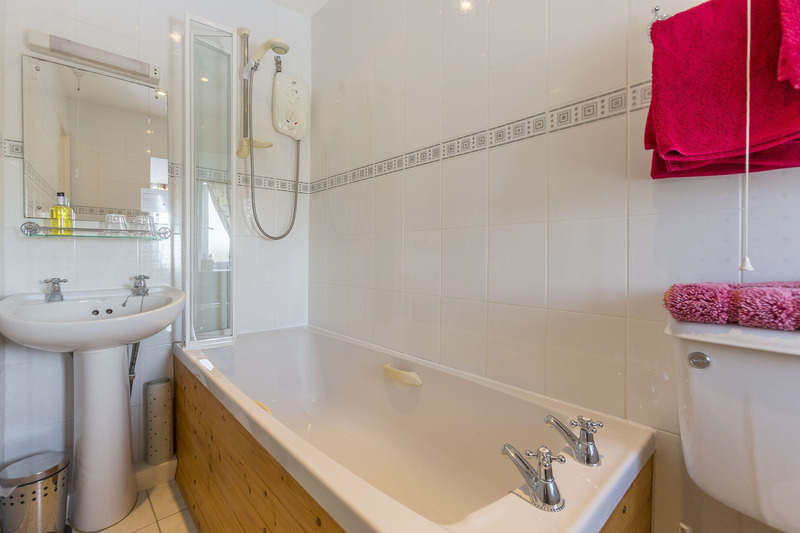 En-suite facilities include a bath with shower over, toilet and wash basin. 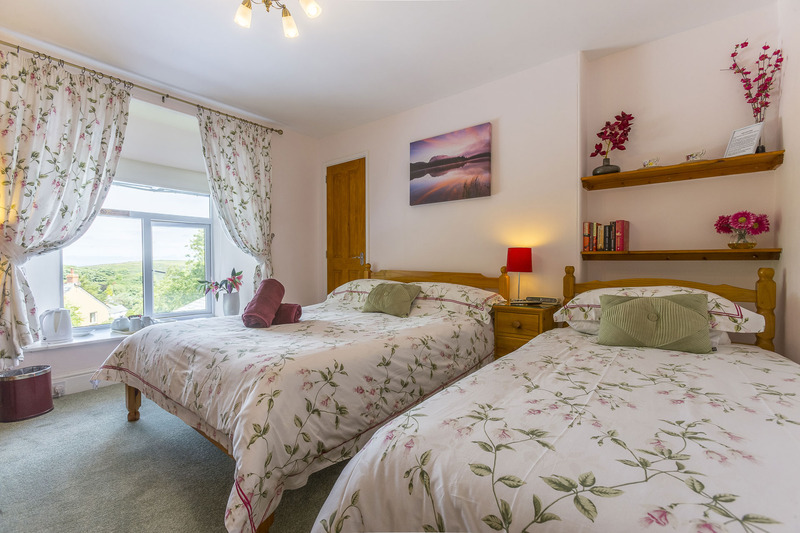 This room has a double and a single bed and has views over the gardens.